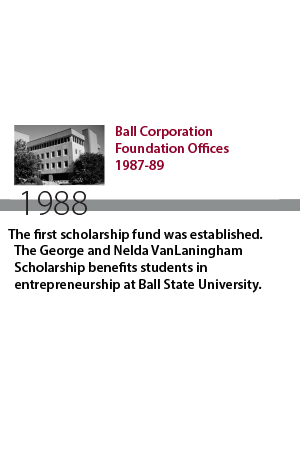 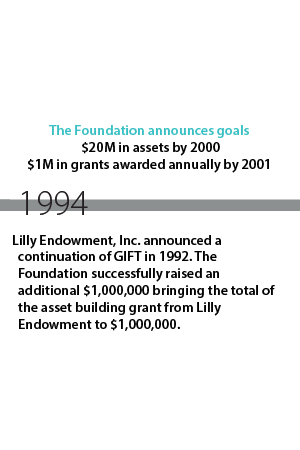 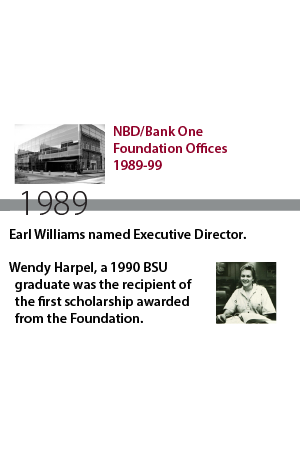 The Community Foundation began in 1985 as the result of the Ball Brothers Foundation and Ball family members. 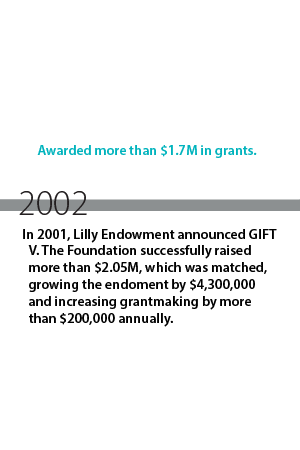 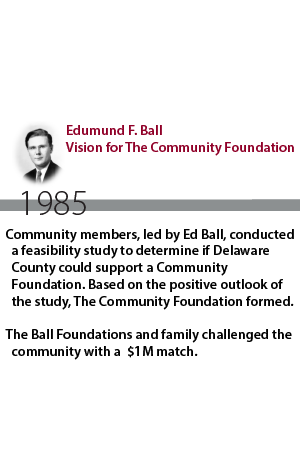 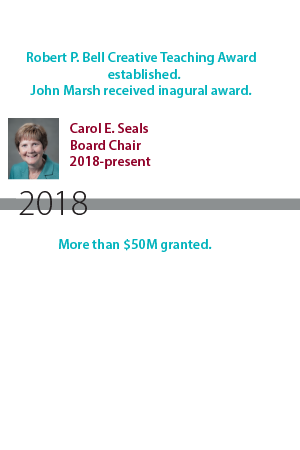 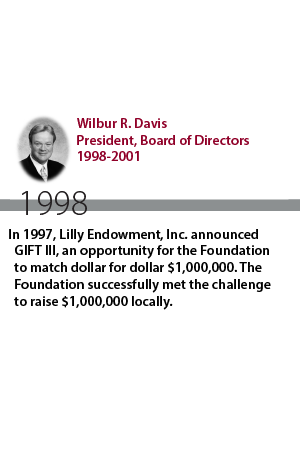 Realizing the benefit that a community-supported, community-focused organization would provide, Ed Ball came up with the novel idea of creating a community foundation and initiated a $1 million matching challenge to help it get started. 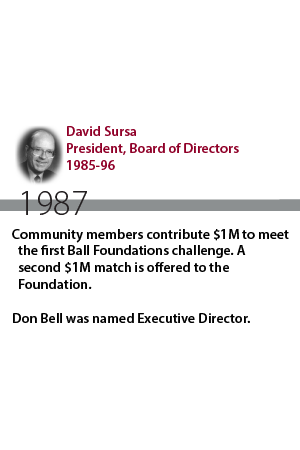 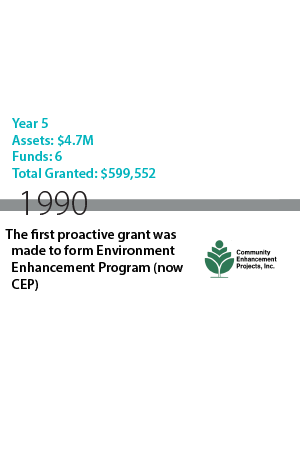 A group of community leaders gathered in April of 1985 to meet the challenge. 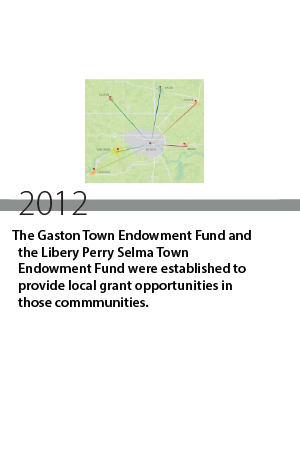 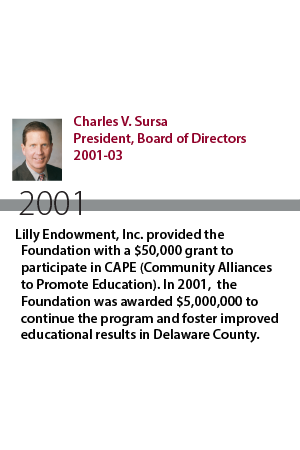 The concept of a community foundation was new, and they did not have the advantage of a website or social media to spread the word or explain the concept. 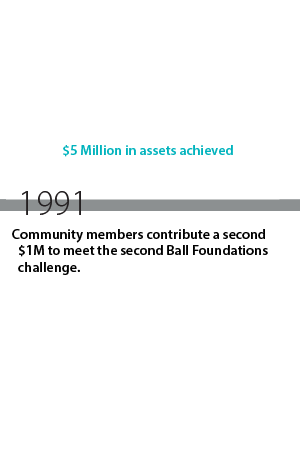 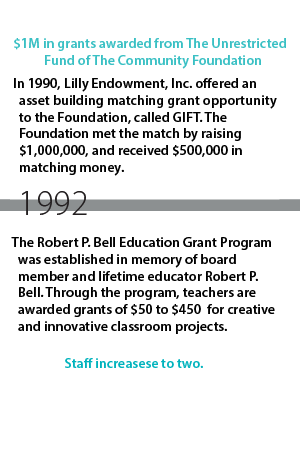 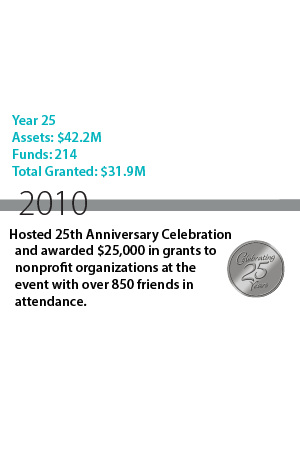 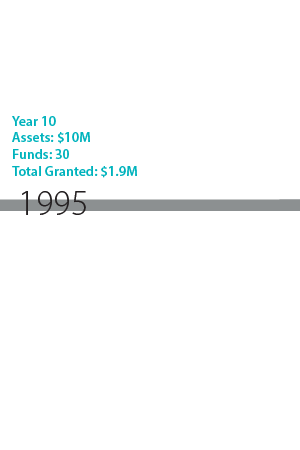 Roni Johnson joined The Community Foundation in 1986 when the Foundation was in the midst of a second million-dollar-match challenge. 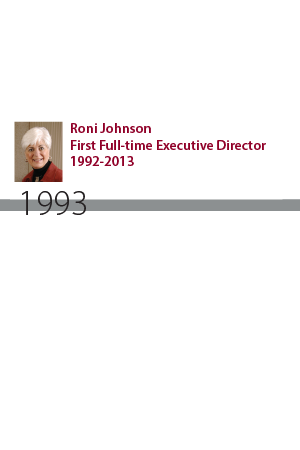 As she set up her makeshift office in larger office buildings, Johnson recalls that one of the biggest challenges in those first few years was trying to figure things out as they went along. 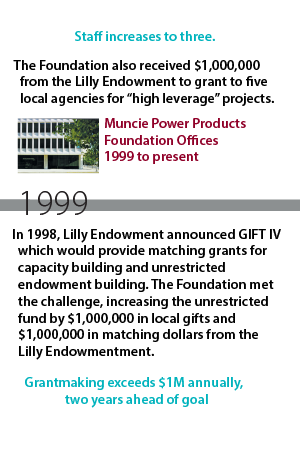 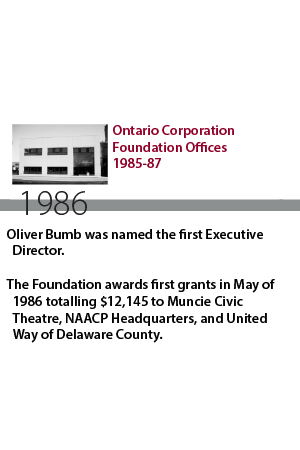 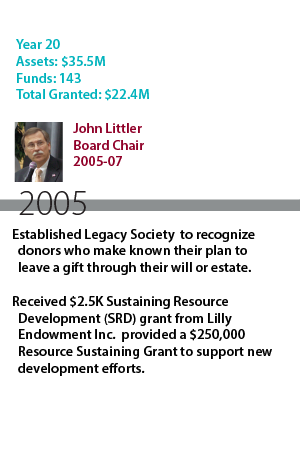 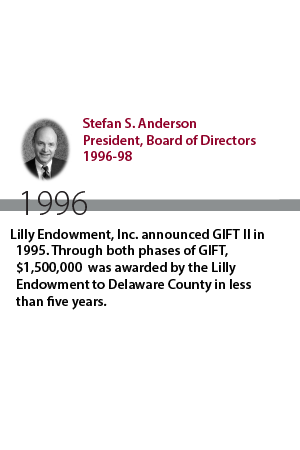 Anderson believes his colleagues who gave of their time and resources to create one of Indiana’s oldest community foundations would be pleased, but not shocked, at its subsequent success. 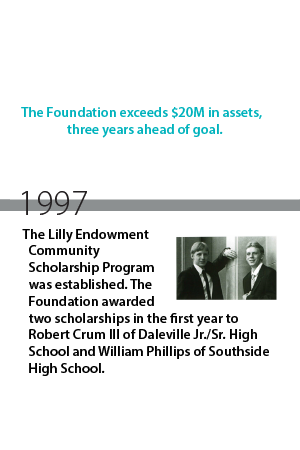 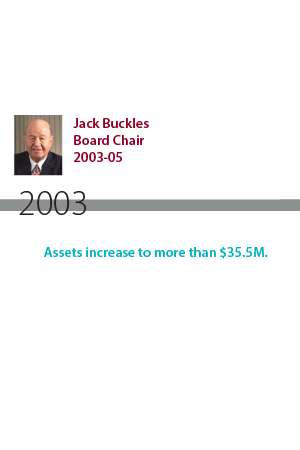 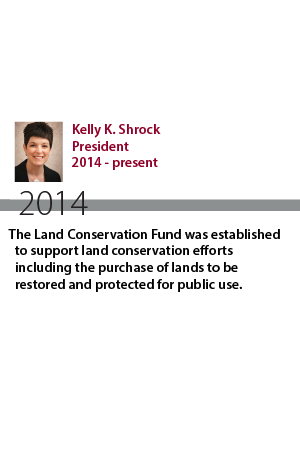 Visit our Press Room to access the latest news, annual report and newsletters from The Community Foundation.